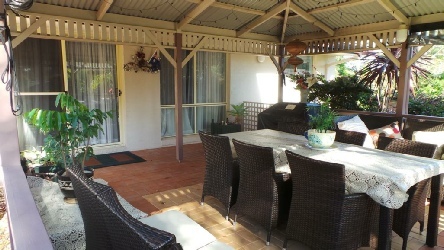 Best Western Fairway Motor Inn is only 3 minutes’ drive from Pambula and Merimbula town centres. All rooms were refurbished in either 2014 or 2015 and include a kitchenette with microwave and refrigerator, plus a dining table and sofa bed. A 32-inch flat-screen TV with satellite channels, air conditioning and heating are also included. There is an outdoor swimming pool and a BBQ area. The nearest beach is just 550 yards away. Guests have access to a full-size tennis court with free use of all tennis equipment. There is also a guest laundry and free on-site car parking is provided. A continental breakfast pack can be arranged for an additional charge. Pambula Merimbula Golf Club and Wheelers Seafood Restaurant are only 3 minutes’ walk away. The Fairway Motor Inn is only minutes away from shops, restaurants, attractions, clubs and beaches and, being located in the heart of the Sapphire Coast, you will be able to explore everything this Coastal Wilderness has to offer including access to National Parks, stunning water ways and unspoilt beauty. 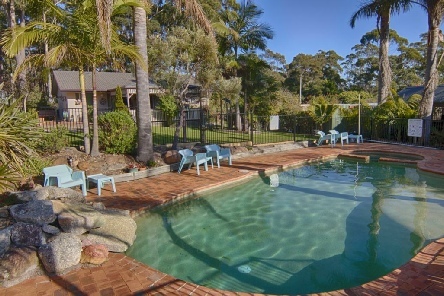 2019 package holidays to the Best Western Fairway Motor Inn Merimbula Prices are per person based on two sharing, including flights and accommodation, and are subject to availability.